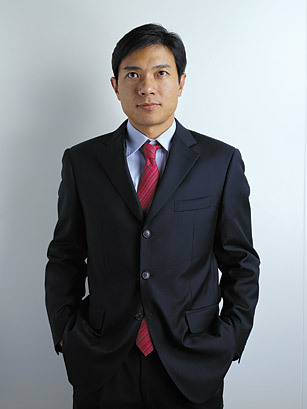 Robin Li is a Chinese entrepreneur, co-founder of China’s most popular search engine Baidu. Li studied information management at Peking University and the State University of New York, Buffalo. In 2000 he founded Baidu with Eric Xu. He has been the CEO of Baidu since January 2004, which was listed on NASDAQ in August 2005. Li has been listed as one of the 15 Asian Scientists To Watch by Asian Scientist Magazine on 15 May 2011. Li was born in Yangquan, Shanxi, China, where he spent most of his childhood. Both of his parents were factory workers. Li was the fourth of five children, and the only boy among the five. Li was admitted by Yangquan First High School by achieving the second highest grades in the entrance examination. In high school, Li enjoyed computer class and participated in numerous programming competitions city-wide. In 1987, Li attended the National Higher Education Entrance Examination and achieved the top grade among all examinees in Yangquan. Consequently, he chose Peking University for college where he studied information management for four years and received a Bachelor of Science degree. In the fall of 1991, Li went to SUNY-Buffalo in the US to study computer science towards a Doctoral degree. He received his Master of Science degree in 1994 after he had decided to discontinue his PhD program work. In 1994, Li joined IDD Information Services, a New Jersey division of Dow Jones and Company, where he helped develop a software program for the online edition of The Wall Street Journal. He also did work on better algorithms for search engines. He remained at IDD Information Services from May 1994 to June 1997. In 1996, while at IDD, Li developed the RankDex site-scoring algorithm for search engines results page ranking and received a US patent for the technology. He later used this technology for the Baidu search engine. Robin worked as a staff engineer for Infoseek, a pioneer internet search engine company, from July 1997 to December 1999. Another of his important innovative achievements was the picture search of Go.com. In the nine years since founding Baidu in January 2000, Robin has turned the company into the largest Chinese search engine, with over 70% market share, and the third largest independent search engine in the world. In 2005, Baidu completed its successful IPO on NASDAQ, and in 2007 became the first Chinese company to be included in the NASDAQ-100 Index. He was listed in the CNN Money annual “50 people who matter now” in 2007. In 1998, he published the book Business War in Silicon Valley in the Mainland according to his work and life experience in Silicon Valley. At the end of 1999, he brought risk investment back to China to found Baidu with his friend Eric Xu. On December 10, he was elected 2006 world’s “Best Business Leader” of the American Business Weekly. Robin Li is married to Dongmin Ma. In 1995, Li met Ma at a social event of Chinese students in the Greater New York area. They had dated for 6 months before they wedded on October 10 the same year in New Jersey. They have one daughter. Checkout the ASCII Art and Pictures of Robin Li in the below link. Extract the Files from WinRAR Archive. Please use Lucida Console font to view the ascii art in Notepad. Before that in Notepad go to Format and Uncheck the Word Wrap and then Go to Font and Reduce the Font Size to 3 to 4 pt. Use only Lucida Console Font. 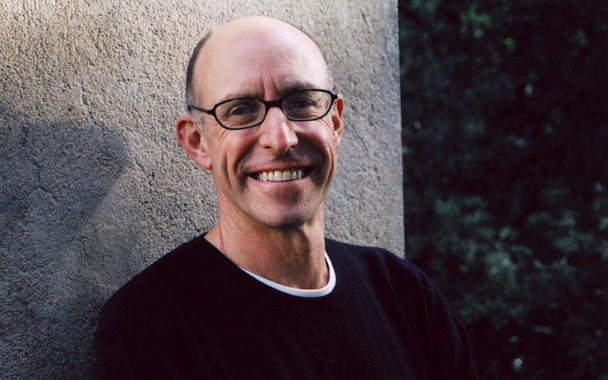 Michael Pollan was born on Sunday, February 06, 1955 and he is a famous American author, journalist, activist, and professor of journalism at the University of California, Berkeley. Pollan was born to author and financial consultant Stephen Pollan and columnist Corky Pollan. Pollan received a B.A. from Bennington College in 1977 and an M.A. in English from Columbia University in 1981. He lives in the Bay Area with his wife, the painter Judith Belzer, and their son, Isaac. For the past twenty-five years, Michael Pollan has been writing books and articles about the places where nature and culture intersect: on our plates, in our farms and gardens, and in the built environment. He is the author of four New York Times bestsellers: Food Rules: An Eater’s Manual (2010); In Defense of Food: An Eater’s Manifesto (2008); The Omnivore’s Dilemma: A Natural History of Four Meals (2006) and The Botany of Desire: A Plant’s-Eye View of the World (2001). The Omnivore’s Dilemma was named one of the ten best books of 2006 by both the New York Times and the Washington Post. It also won the California Book Award, the Northern California Book Award, the James Beard Award, and was a finalist for the National Book Critics Circle Award. A young readers edition called The Omnivore’s Dilemma: the Secrets Behind What You Eat was published in 2009. The Botany of Desire received the Borders Original Voices Award for the best non-fiction work of 2001, and was recognized as a best book of the year by the American Booksellers Association and Amazon.com. PBS premiered a two-hour special documentary based on The Botany of Desire in fall 2009. Pollan is also the author of A Place of My Own (1997) and Second Nature (1991).Pollan was named to the 2010 TIME 100, the magazine’s annual list of the world’s 100 most influential people. In 2009 he was named by Newsweek as one of the top 10 “New Thought Leaders.” A contributing writer to The New York Times Magazine since 1987, his writing has received numerous awards: he was a finalist for the National Magazine Award in 2009 for best essay; he received the James Beard Award for best magazine series in 2003; the John Burroughs prize in 1997 for best natural history essay; the QPB New Vision Award for his first book, Second Nature; the 2000 Reuters-I.U.C.N. Global Award for Environmental Journalism for his reporting on genetically modified crops; the 2003 Humane Society of the United States’ Genesis Award for his writing on animal agriculture; the 2008 Truth in Agricultural Journalism Award from the American Corngrowers Association; the 2009 President’s Citation Award from the American Institute of Biological Sciences, and the 2009 Voices of Nature Award from the Natural Resources Defense Council. His essays have appeared in many anthologies, including Best American Essays (1990 and 2003), Best American Science Writing (2004), the Norton Book of Nature Writing, and The New Kings of Non-Fiction, edited by Ira Glass. In addition to publishing regularly in The New York Times Magazine, his articles have appeared in Harper’s Magazine (where he served as executive editor from 1984 to 1994), National Geographic, Mother Jones, The Nation, The New York Review of Books, Vogue, Travel + Leisure, Gourmet, House & Garden and Gardens Illustrated, among others. In 2009, he appeared in a two-hour PBS special based on The Botany of Desire as well as in the documentary, Food Inc., which received an Academy Award nomination. 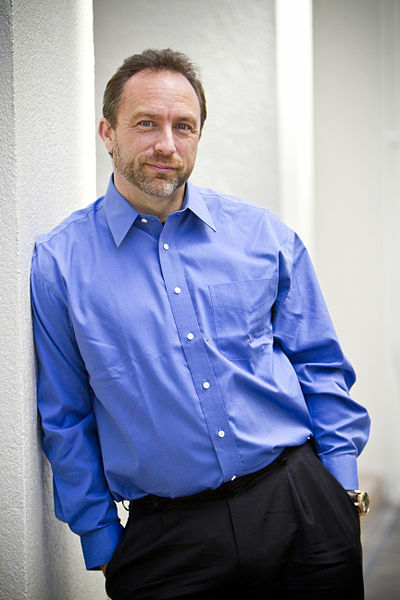 In 2003, Pollan was appointed the John S. and James L. Knight Professor of Journalism at UC Berkeley’s Graduate School of Journalism, and the director of the Knight Program in Science and Environmental Journalism. In addition to teaching, he lectures widely on food, agriculture, health and the environment.Pollan is a contributing writer for the New York Times Magazine, a former executive editor for Harper’s Magazine, and author of five books: In Defense of Food: An Eater’s Manifesto (2008) The Omnivore’s Dilemma: A Natural History of Four Meals (2006), The Botany of Desire: A Plant’s-Eye View of the World (2001), A Place of My Own (1997), and Second Nature A Gardener’s Education (1991). His recent work has dealt with the practices of the meat industry, and he has written a number of articles on trends in American agriculture. He has received the Reuters World Conservation Union Global Awards in environmental journalism, the James Beard Foundation Awards for best magazine series in 2003, and the Genesis Award from the American Humane Association. His articles have been anthologized in Best American Science Writing (2004), Best American Essays (1990 and 2003), The Animals: Practicing Complexity (2006) and the Norton Book of Nature Writing (1990). Pollan co-starred in the documentary, Food, Inc. (2008), for which he was also a consultant. Pollan, Michael (1991). Second Nature: A Gardener’s Education. New York: Atlantic Monthly Press. ISBN 9780871134431. Pollan, Michael (1997). Place of My Own: The Education of an Amateur Builder. New York: Random House. ISBN 9780679415329. Pollan, Michael (2001). The Botany of Desire: A Plant’s-Eye View of the World. New York: Random House. ISBN 9780375501296. Pollan, Michael (2006). The Omnivore’s Dilemma: A Natural History of Four Meals. New York: Penguin Press. ISBN 9781594200823. Pollan, Michael (2008). In Defense of Food: An Eater’s Manifesto. New York: Penguin Press. ISBN 9781594201455. Pollan, Michael (2009). Food Rules: An Eater’s Manual. New York: Penguin Press. ISBN 978-0143116387. Pollan, Michael (April, 1997). “Opium Made Easy”. Harper’s. Pollan, Michael (July 19, 2002). “When a Crop Becomes King”. The New York Times. Retrieved 2008-09-21. Pollan, Michael (November 10, 2002). “An Animal’s Place”. The New York Times. Retrieved 2008-09-21. Pollan, Michael (June 4, 2006). “Mass Natural”. The New York Times. Retrieved 2008-09-21. Pollan, Michael (June 11, 2006). “Six rules for eating wisely”. Time magazine. Retrieved 2008-09-21. Pollan, Michael (January 28, 2007). “Unhappy Meals”. The New York Times. Retrieved 2008-09-21. Pollan, Michael (22April 2007). “You Are What You Grow”. The New York Times. Retrieved 2008-09-21. Pollan, Michael (December 16, 2007). “Our Decrepit Food Factories”. The New York Times. Retrieved 2008-09-21. Pollan, Michael (April 20, 2008). “Why bother?”. The New York Times. Retrieved 2008-09-21. Pollan, Michael (October 9, 2008). “An Open Letter to the Farmer in Chief”. The New York Times. Retrieved 2008-10-12. Pollan, Michael (July 29, 2009). “Out of the Kitchen, Onto the Couch”. The New York Times. Retrieved 2009-08-02. Pollan, Michael (September 9, 2009). “Big Food vs. Big Insurance”. The New York Times. Retrieved 2009-09-14. Michael Pollan. Interview with Ketzel Levine. A Plant’s-Eye View Of The World (audio). Morning Edition. NPR. June 4, 2001. Retrieved on 2008-11-29. Michael Pollan. Interview with Helen Wagenvoord. The Cheapest Calories Make You the Fattest (transcript). Sierra Magazine. September 2004. Retrieved on 2008-11-29. Michael Pollan. Interview with Jason Marsh. Edible Ethics (transcript). Greater Good magazine. Spring/Summer 2006. Retrieved on 2008-11-29. Michael Pollan. Interview with Amy Goodman. In Defense of Food (video/audio/transcript). Democracy Now. February 13, 2008. Retrieved on 2008-11-29. Michael Pollan. Interview with Warren Etheredge. An Evening with Michael Pollan (audio). The Warren Report. October 30, 2008. Retrieved on 2008-11-29. Michael Pollan. Interview with Bill Moyers. Bill Moyers Journal. PBS. November 28, 2008. (Interview ). Retrieved on 2008-11-29. Michael Pollan. Interview with Melissa Moser. Food and Fossil Fuels (video). Powering A Nation: UNC News21 Project. June 25, 2009. Retrieved on 2009-08-04. Michael Pollan. Interview with Melissa Moser. Checking Out Michael Pollan’s Garden (video). Powering A Nation: UNC News21 Project. June 25, 2009. Retrieved on 2009-08-04. Michael Pollan. Interview with Waylon Lewis. Walk the Talk Show with Waylon Lewis interview: Michael Pollan. Sponsored by Gaiam. (video). Walk the Talk Show with Waylon Lewis. June 22, 2009. Retrieved on 2010-09-23. Checkout the ASCII Art and Pictures of Michael Pollan in the below link. Extract the Files from WinRAR Archive. Please use Lucida Console font to view the ascii art in Notepad. Before that in Notepad go to Format and Uncheck the Word Warp and then Go to Font and Reduce the Font Size to 3 to 4 pt. Use only Lucida Console Font.